The highbush cranberry plant, also called American cranberrybush, is a bush or shrub from the same family as the elderberry bush. The bush grows up to 15 feet in height and forms a rounded shape. 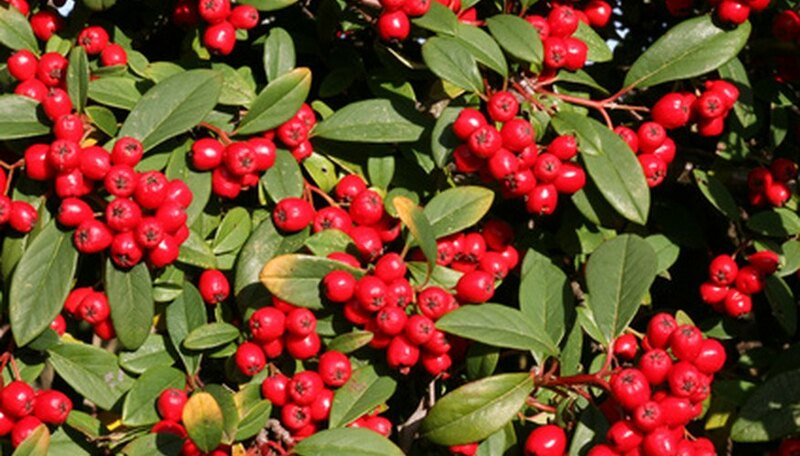 Highbush cranberry bushes produce small white flowers that turn into bright red berry fruit. The fruit can be harvested for use in jelly or preserves. The bush is hardy to plant in USDA growing zones 2 through 7 because it over winters well in cold and harsh winter climates. Select a planting location that offers a well-draining soil and full to part shade light conditions. The plant will grow in most soil types as long as there is no standing water. Plant the highbush cranberry in a hole that is the same height as the container it came in and slightly wider. Sprinkle bone meal into the hole and set the plant on top. Gently fill and pack the soil around the root ball. Water the highbush cranberry plant generously after planting to stimulate root growth. Continue to water the plant regularly to keep the soil moist during the first growing season. Water the plant the following growing years when the weekly rainfall amount is less than one inch. Apply a 2- to 3-inch layer of mulch around the plants leaving a 3-inch gap between the stem of the plant and the start of the mulch area. This will assist with moisture retention and prevent weed growth that will compete with the plant. Fertilize the plant each year in the spring by mixing 1 inch of organic compost into the mulch application. Highbush cranberries do not require additional fertilizing through the growing season. Prune the plant to remove old and thick branch growth. Cut and remove the branches at ground level instead of leaving stumps or small branch spikes on the stem of the plant. Heavy pruning on the highbush cranberry is not required. Propagate the highbush cranberry plant by collecting ripe fruit and planting them immediately in soil outdoors. Highbush cranberry plants will take up to two years to germinate as they require a warm period followed by a cold dormant period and another warm period. The second warm period will initiate seed germination.